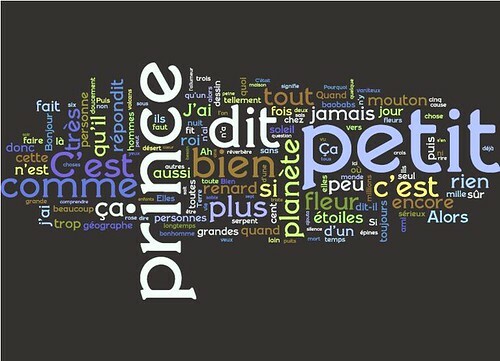 Have you seen Wordle? I love it! I've been playing around with it for weeks, and today I created some "welcome baby" cards for several of my friends (two had babies the same night!). I played around with it for awhile to get the word sizes right, and I'm very happy with it. I'm going to print it out, back it with darker cardstock and attach to a simple blank white card. 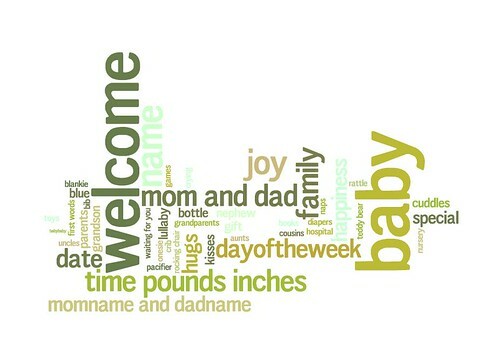 Here's a tip: numbers don't really show up in wordle, but they'll show up with letters. So for "October 1, 2008", I input it as "october~1st~2008." The "~" indicates a space should be included. I put the basic template for the words I used below. Fill in the baby's name, date, weight/size, and parents name. Obviously, you can add other words like brother/sister, or make it for a girl by switching out all the gender names.